Figure 63. Sorensen device for the determination of H+ ions. 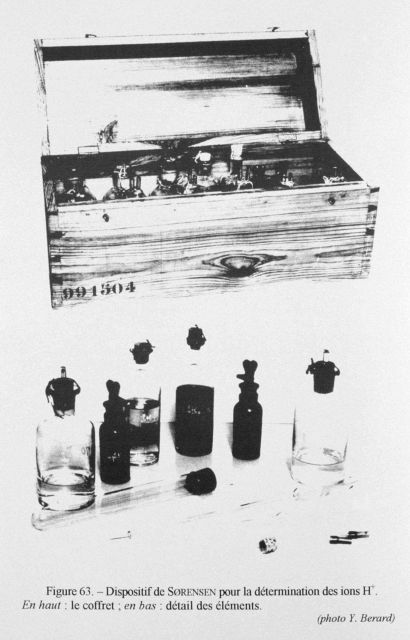 This device which measured the pH of water by a colorimetric method was devised by the Danish chemists Soren Peter Lauritz Sorensen and Sven Palitsch and used during the Danish oceanographic expedition on the THOR between 1908 and 1910.